Morning after breakfast check-out from the hotel drop to railway station to board the train for Jodhpur. Arrive Jodhpur, pick-up from railway station and transfer to hotel. Night stay at Jodhpur. Morning after breakfast proceed for city sightseeing tour of Prince Jodha founded city Jodhpur - the stronghold of the fierce Rathore clan, in 1459. Visit the Mehrangarh Fort, situated on a low sandstone hill. Within the fort, visit Moti Mahal and Phool Mahal. Also visit Jaswant Thada, an imposing marble cenotaph, built in memory of Maharaja Jaswant Singh II around 1899 and Umaid Public gardens. Night stay at Jodhpur. Morning after breakfast drive to Luni. Arrive Luni & transfer to the hotel. Later proceed to city sightseeing tour of Luni. Visit a small beautiful village nestling in the shadow of Fort Chanwa is situated just 30 km south of Jodhpur. Luni is a great hub of activity where artisans use centuries-old skills to fashion metal, clay or wood into various intricate forms which is a wonderful sight. They are even happily ready to demonstrate their skills. It’s a perfect place where you can spend a day in a bygone era. Women carry on their routine works in their bright colorful and tranditional clothes. Afternoon go for village safari around Luni. 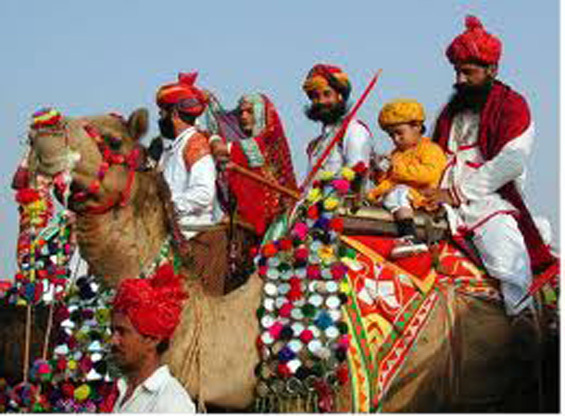 See Bishnoi tribal villages and rural, Rajasthani life. Night stay at Luni. Morning after breakfast drive to Dhamli. Arrive Dhamli and transfer to hotel. 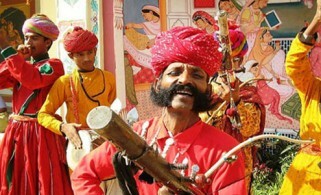 Dhamli is a typical Rajasthani village Dhamli located in the Marwar region of Rajasthan Stay at Beautiful Fort Dhamli. Fort Dhamli is an experiential heritage stay near Pali offering guests Activities such as farm tours, tractor and bullock cart rides and village safaris. Village safari includes visiting the traditional oil mill, weavers, potters and homes of the local tribal community. Later explore the village and see the traditional artisans at work. Night stay at Dhamli. Morning after breakfast drive to Deogarh. Arrive Deogarh & transfer to the hotel. Deogarh is a delightful small town reminiscent of a Rajasthan. Deogarh Mahal, an exquisitely restored, hilltop fort. Afternoon exploration of the typical Rajasthani village surrounding the fortress before paying an evening visit to the fascinating cave temple and a stunning view point at sunset. Night stay at Deogarh. Morning after breakfast drive to Narlai. Arrive Narlai & transfer to the hotel. Later proceed for sightseeing tour of Narlai, the home for Rawla Narlai-a 17th century fortress gifted by Maharaja Umaid Singh to his brother in 1925 and, at the time, a hunting lodge, and now a serene heritage hotel. The village is of 15th century and is the home for Garasia tribes, an interesting ethnic group inhabiting the Aravalli foothills of Rajasthan. Garasias are agriculturists and living in huts and are far away from the fast world of modernization and development. Enjoy the night with full of cultural performances and magic shows by local artists and have a delicious Rajasthani food around a bonfire along with these performances. Night stay at Narlai. Morning after breakfast drive to Ranakpur en-route visit Kumbhalgarh Fort. Khumbhalgarh is a Merwar Fortress in Rajsamand district of Rajasthan state in western India. The Fort has perimeter walls that extend 36 kilometres in length, claimed to be the longest in the world after “The Great Wall of China”. Over 360 temples are within the fort. 300 ancient Jain and the rest Hindu. 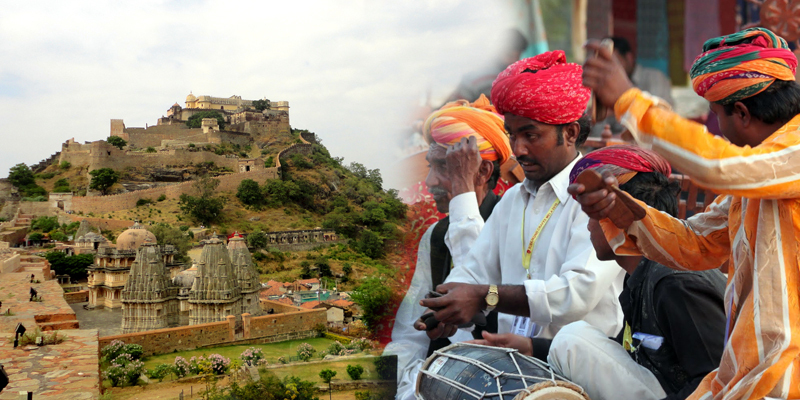 Later explore Kumbhalgarh Wildlife Sanctuary sprawling over 578 sq. km. After visiting continue drive to Ranakpur. Arrive Ranakpur and transfer to hotel. Night stay at Ranakpur. Morning after breakfast check-out from the hotel and visit World famous Jain Temple Ranakpur. The exceptionally beautiful Ranakpur complex, is one of the largest and most important Jain temple in India. The main temple is the Chaumukha Temple, or Four Faced Temple, dedicated to Adhinath. Built in 1439, this huge, superbly crafted and well-kept marble temple has 29 halls supported by 1444 pillars, no two alike. After visiting drive to Udaipur. Arrive Udaipur & transfer to the hotel. Night stay at Udaipur. Morning after breakfast proceed for city sightseeing tour of Udaipur the city is built in 1559. A.D. by Maharaja Udai Singh and has been described the most romantic spot on the continent of India by Col. James Todd. Visit the city Palace Museum, the Jagdish temple, Sahelion ki Bari (Queen's resort for their friends) Bhartiya Lok Kala Mandir (Folk Art Museum) and the Pratap Memorial. Also enjoy boat ride at Lake Picola. Night stay at Udaipur. Morning after breakfast transfer to Dungarpur. Dungarpur city is named after the Bheel Chief Dungaria. Dungarpur is the address of the Bheels, a tribe whose history of occupancy in the Aravalli range is said to date back to 4000 BC and it was founded by Rawal Vir Singh in 13th Century. Arrival Dungarpur, check in at the hotel. Night stay at Dungarpur. Morning after breakfast proceed for city sightseeing tour of Dungarpur. The full day is meant for exploring the villages in the tribal area. There you can find a world which far behind the world of modernization and development. They are strictly holding their customs and traditions amidst the fast world. You can go to their houses, can talk with them, and even can take a picture with them. Later move for a visit to Juna Mahal, the Badal Mahal, Rajmata Devendra Kunvar State Museum and Cultural Centre and the Government Archaeological Museum. 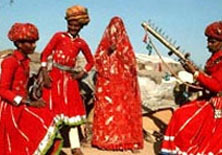 Evening can be spent with the tribals enjoying their traditional dances and cultural programmes. Night stay at Dungarpur. Morning after breakfast drive to Udaipur. Arrive Udaipur and transfer to airport to board the flight for Delhi. Arrive Delhi and catch the flight for onward journey. Tour ends with sweet memories.